A data stream is a flow of unbounded data that arrives continuously at high speed. In a dynamic streaming environment, the data changes over the time while stream evolves. The evolving nature of data causes essentially the appearance of new concepts. This novel concept could be abnormal such as fraud, network intrusion, or a sudden fall. It could also be a new normal concept that the system has not seen/trained on before. 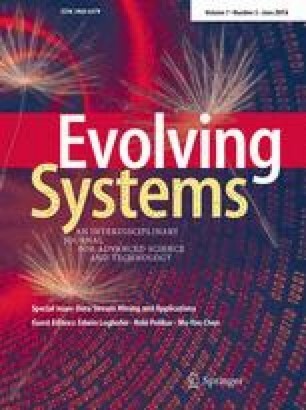 In this paper we propose, develop, and evaluate a technique for concept evolution in evolving data streams. The novel approach continuously monitors the movement of the streaming data to detect any emerging changes. The technique is capable of detecting the emergence of any novel concepts whether they are normal or abnormal. It also applies a continuous and active learning for assimilating the detected concepts in real time. We evaluate our approach on activity recognition domain as an application of evolving data streams. The study of the novel technique on benchmarked datasets showed its efficiency in detecting new concepts and continuous adaptation with low computational cost.